Those black wings aren’t just for show. This manned, prototype aircraft utilized solar panels to keep itself afloat for around 20 minutes on Friday. 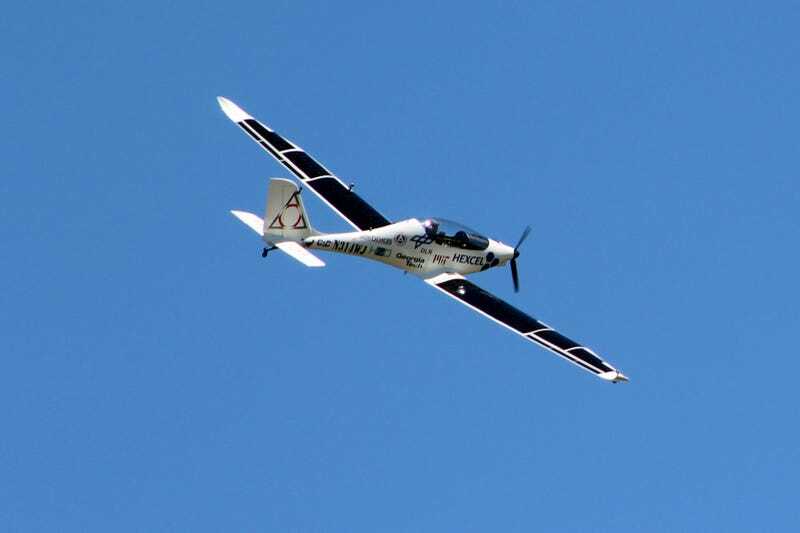 In its quest to bring Internet access to third-world countries, Long Island-based Luminati Aerospace LLC said it successfully tested a new solar-powered, VO-Substrata aircraft on Eastern Long Island, according to the Associated Press. According to Luminati (yes, like that Illuminati) founder Daniel Preston, the goal is to develop unmanned drones that, thanks to solar power and wind energy, could remain afloat indefinitely. “I really can’t think of any engineering project today that has a greater social impact than bringing communications for many people in the world that don’t have it,” he said. Preston also added that the company is also looking to supply drones to private businesses, along with intelligence agencies for surveillance and reconnaissance uses. However, it’s not clear who commissioned the project. Preston has denied which big technology company has stakes in the project. Facebook and Google are two likely candidates, especially since both have expressed interest in creating unmanned drones to increase Internet access. Google was testing solar-powered drones as recently as January and Facebook has fiddled with the idea since 2014.